Here, thanks to the Wayback Machine, is the piece in it’s original context, while you can also read it below. Olbermann looked at the bowl that he was clearly in the middle of when I arrived, and an expression of embarrassment spread across his face. 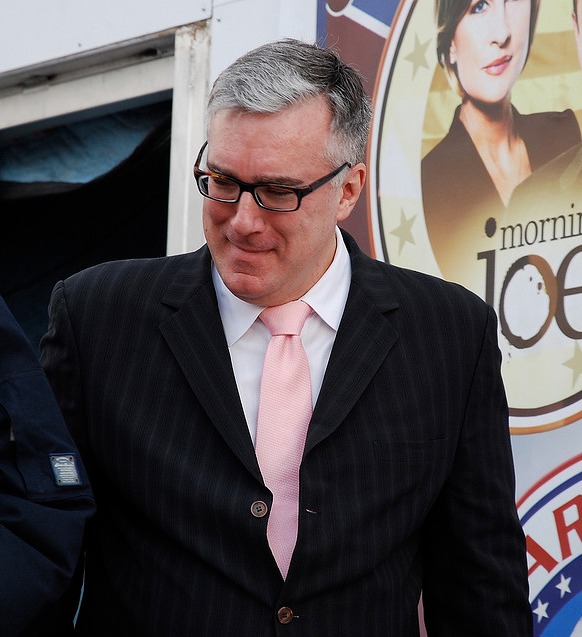 Olbermann laughed, with the enthusiasm of a man used to taking on big challenges, a titan used to facing down the might of the spin-doctors of federal government single-handedly on a weekly basis. Seeking another angle, I asked his wife how Keith has been adapting to his career change. I asked Mrs. Olbermann how she felt about her husband’s dramatic career shift. I asked Keith Olbermann when the new channel hits the airwaves. He smiled, looked at me curiously for a moment, for a sign that I was pulling his leg. Then, abruptly, his face dropped. At this point he broke down, and sobbed wildly.